“All children learn best through activities and experience that engage all the senses”. 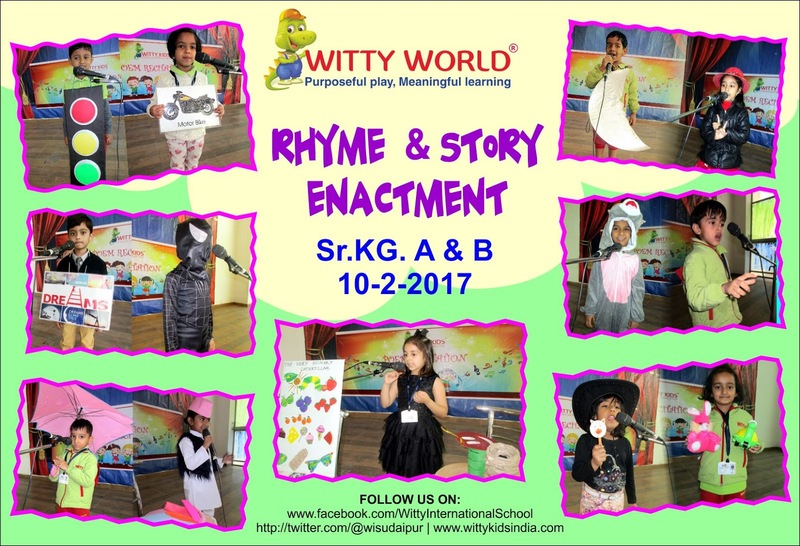 The little Wittians of Sr.KG of Witty International School, Udaipur highlighted the importance of the day, as they came dressed in beautiful attire for rhyme and story enactment. 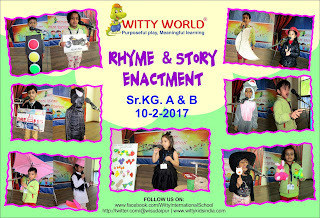 They recited different rhymes by doing various actions and using props. They enjoyed enacting and narrating various stories like Monkey and the cap seller, the very hungry caterpillar, etc. with the help of props. They enjoyed being in the various characters and enthusiastically participated in the activity. It was a fun-frolic day for the little Wittians.